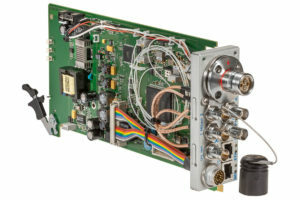 The TOPAS RT product family is the receiver for Broadcast cameras, offering transmission of all camera signals and remote powering the camera & transmitter over Hybrid cable. 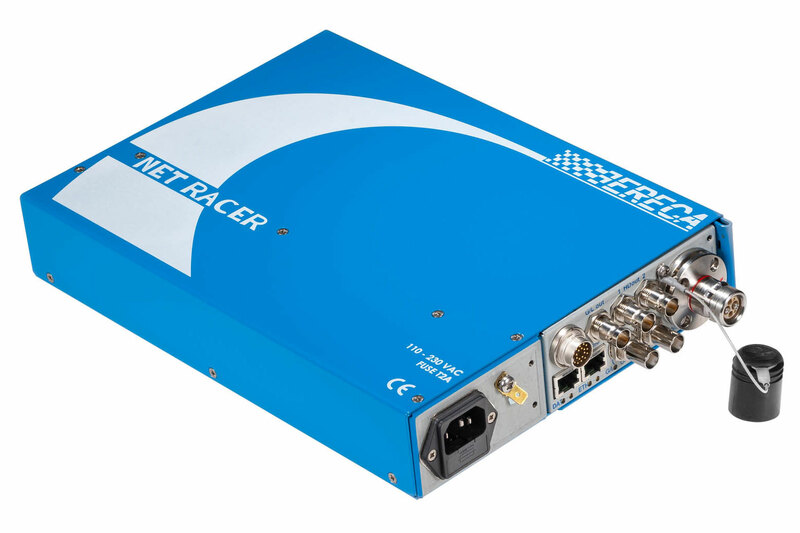 The TOPAS R solution integrates in the NET RACER platform allowing 16 receivers in the NET RACER 19″ 3U and 2 receivers in the NET RACER COMPACT module (single slot receiver). Optional bidirectional AUDIO / GPIO. 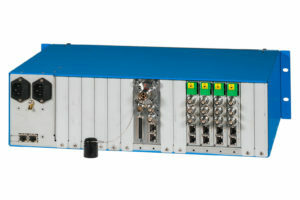 Depending on optical connector and functions the TOPAS RT is single slot or two slots module. 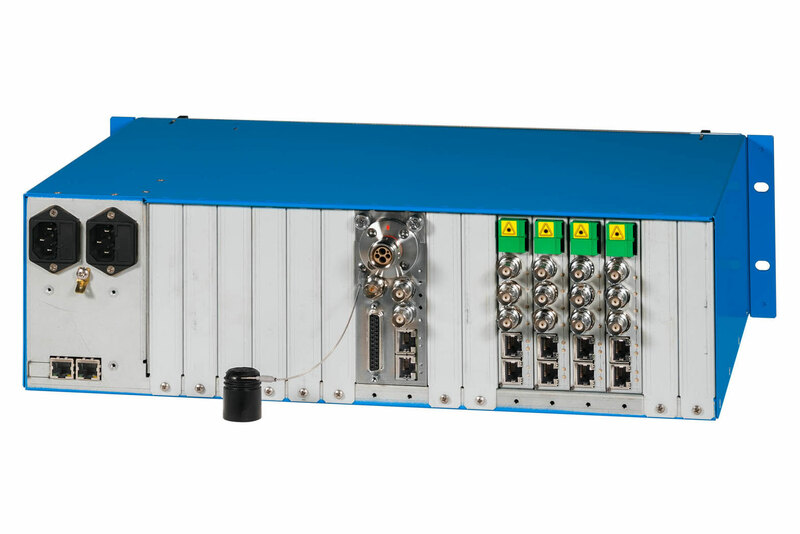 On two slots module; a GENLOCK active loop thru eases the distribution of the genlock signal and the SDI HD signal from the camera is duplicated for distribution purpose. 1 LEMO 3K or NEUTRIK OpticalCon Duo hybrid connector, the module remote powers the camera and the transmission module at camera side. 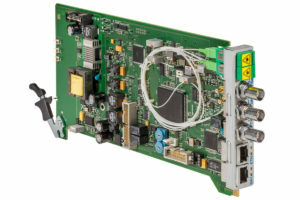 2 SC/APC connectors module. (No remote power option). As an option, the module can transmit two bidirectional audio signals. The audio option offers also the transmission of two GPIO. As an option also, for monitoring at camera side, one video HD SDI return channel can take the place of the PAL signal from the camera. Audio and video options are available simultaneously.